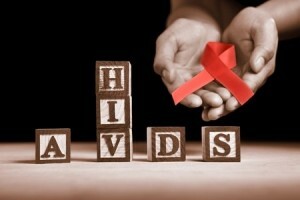 As we know, Mental illnesses are both caused by and causes of HIV transmission and morbidity. On a podcast published by the Psychiatric Times Magazine, Dr. Treisman from John Hopkins Hospital states”…A risk factor for HIV infection, mental illness brings a number of behavioral correlates that put patients at risk for getting infected. As HIV infection worsens, it begins to affect the brain, and a cyclical relationship between the disease and mental illness begins. sychiatric illnesses are both caused by and causes of HIV transmission and morbidity. A risk factor for HIV infection, mental illness brings a number of behavioral correlates that put patients at risk for getting infected. As HIV infection worsens, it begins to affect the brain, and a cyclical relationship between the disease and mental illness begins. Here, Dr Glenn Treisman provides an overview of the treatment of psychiatric disorders in patients with HIV. Dr Treisman is associate professor of psychiatry at Johns Hopkins School of Medicine and Director of the AIDS Psychiatry Service at the Johns Hopkins Hospital in Baltimore. This entry was posted in HIV - AIDS and Mental Illness, Mental Illness on July 15th, 2014. Tags: HIV and mental illness.